When entering a negative OAT on the TAKEOFF REF 2/2 the temprature seen by the system is one degree C higher than entered. I had an OAT of -5°C departing EDDP today. So I entered -5 in the REF OAT. Once selected into the LSK5R the page displays -4 though instead of -5. This happens with all negative temp entries. The value shown on the page is always +1 degree higher than that entered. Therefore -5 becomes -4, -4 becomes -3, etc. When starting the RB535E4 (also happens with the "normal" RB535) the EGT only rises after the rest of the engine is stabilized. EGT should rise the moment fuel is introduced into the engine and ignition occures (common sense, isn't it?). With the DON OXYGEN MASK switch in AUTO you hear a cabin chime (ding) once the gear and flaps are up. 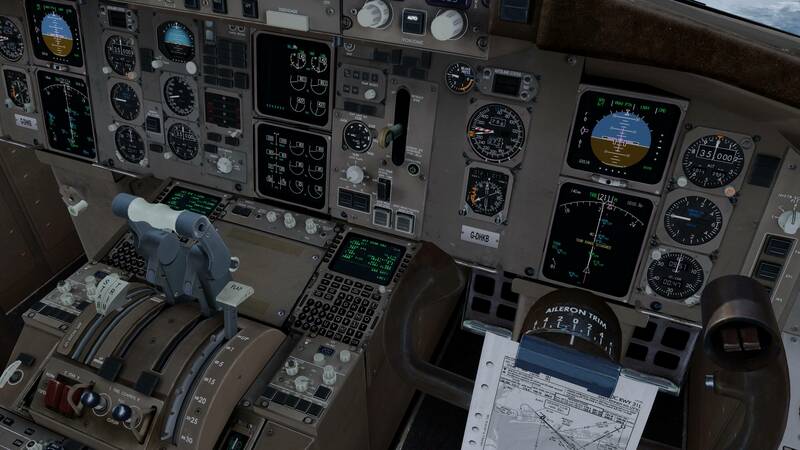 This indicates that there is still the NO SMOKING sign logic implemented in the DON OXYGEN MASK switch. TERR RANGE DISAGREE message with left and right ND set to different zoom levels. This is an annoying one, when using the TERR display on the right ND the above message always displays if a different scale is selected on the left and right ND's. A similar issue exists with the weather radar. The range of the systems seems to be set by the left ND only, the right ND will show simply the same copied returns as the left ND, even if the ranges are different. The STEP prompt is missing on the LEGS page when in use on the right FMC. When selecting PLAN mode on the FO's side the STEP promt does not show on the LEGS page in the right FMC. Only when selected on the captains side it shows. Alright, so, several ones in here while I'm on the AIIR. 1) Manual Part II, page 275: The WXR RANGE DISAGREE message is missing. A little bit of background information for you as to when these messages show as I feel you might misunderstand their meaning. 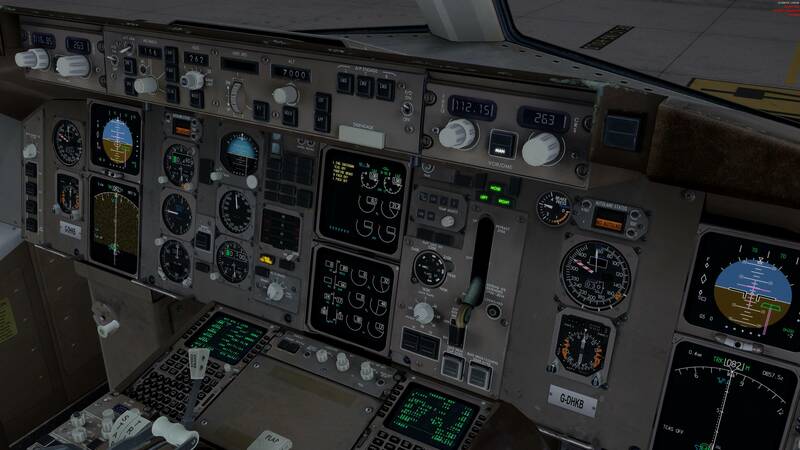 They do not at all indicate a difference between the Captains and FO's instruments as they do in your 757. In real life, when switching the range of the ND, it sometimes takes the system a bit of time to respond. The longest I've seen so far was 12 seconds. After a couple of seconds the range disagree messages show to indicate that the map is no longer in agreement with the EFIS selector. This is particularly important on those aircraft which do not have range rings installed on the ND. That's the purpose of these messages. 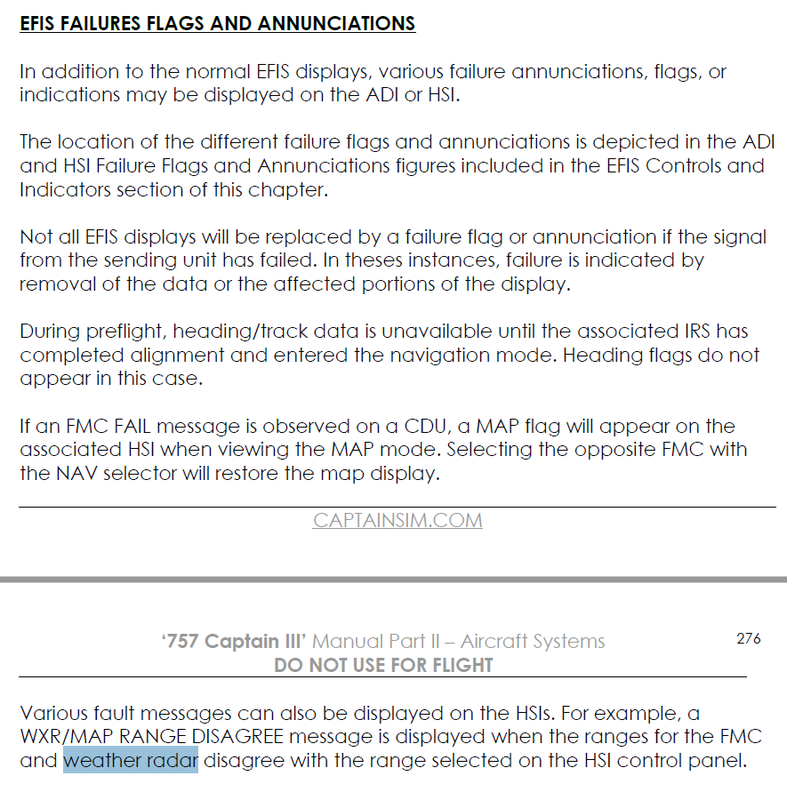 2) Manual Part II, page 321: "The radar display range is set by the HSI range selected on the EFIS control panel." This confirms that the range of the WXR is set by the respective range selector on the EFIS control panel. 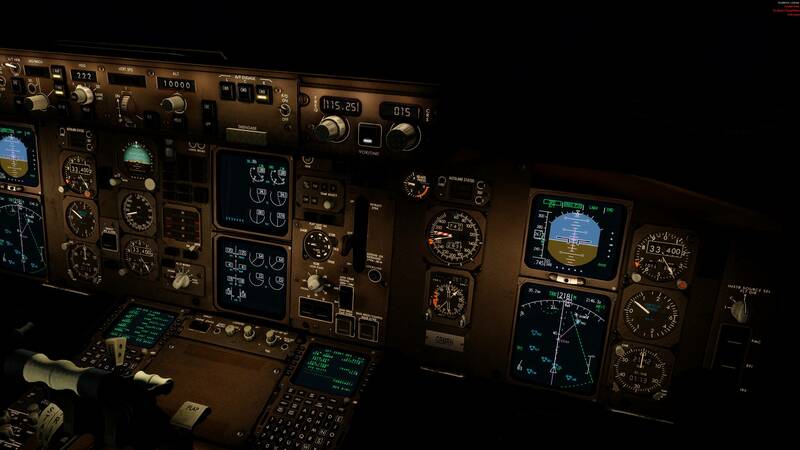 There is no mention whatsoever that the captains EFIS control panel would set the FO's display. In face it confirms the opposite, "the radar display range is set by the HSI range selected on the EFIS control panel". So if I set 40NM I get a 40NM radar image on my ND. 3) Terrain Display Range on the FO's side. You're asking me for a proof that they would not be synced between the captains and fo's side. I'm asking you where it would say that they ARE synced. The manual does not mention any syncing between the ranges. Therefore you are assuming something here which is not in the manual. Any of your real 757 pilots will confirm to you that they are independant and match the range on the respective sides range selector. This is simply a common sense thing so please either ask your pilots or show me where it says that they are in sync. Page 575 in the manual explains the system in detail and does not mention any syncing. terrain output range disagrees with the HSI range selector MAP/TERR"
Using reverse logic this means the HSI range selector and the map display must usually be synced. Please ask your reference pilots and they will confirm it to you. If you disagree with me on this one please respond with a full sentence and not just 6 letters again so that we can discuss it. I was descending to my final destination airport KDEN at 2000fpm (indicated by the variometer) and my CABIN PRESS RATE gauge was displaying 0. Feet per minute (fpm x 1,000)." barometric pressure correction comes from the captain’s altimeter. At touchdown, the outflow valve opens to depressurize the airplane." Thanks, just re-checked, works OK. When doing any changes on the MCP that affect the A/T mode the MCP speed is matched to the actual airspeed. Example: You descend in VS with an MCP speed of 250kt. The actual airspeed is 300kt. When you now select LVL CHG the MCP speed will jump to 300kt. The same issue happens when APP was armed and now GS engages. This is a bug, it should stay at whatever was dialed in previously, in the above example 250kt. 1) GS capture using V/S mode: Let's say you intercept the GS from above. The V/S is set to 1500fpm with the MCP speed set to match your flap speed. 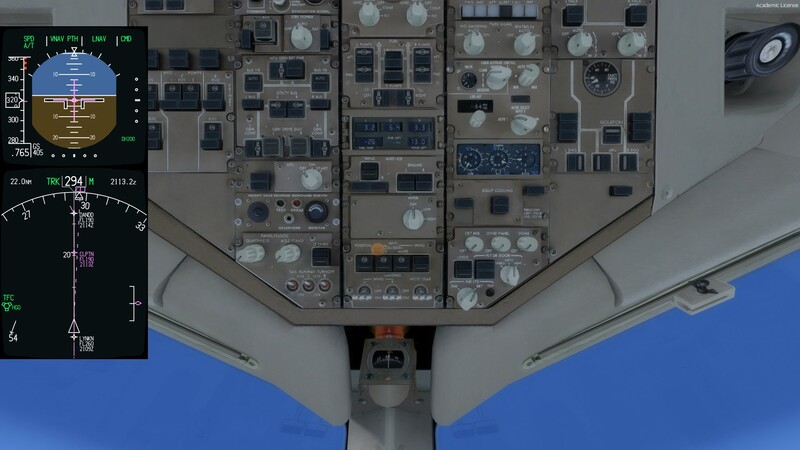 At 1500fpm the airplane will slowly accelerate, thus your indicated airspeed will accelerate above the MCP speed. 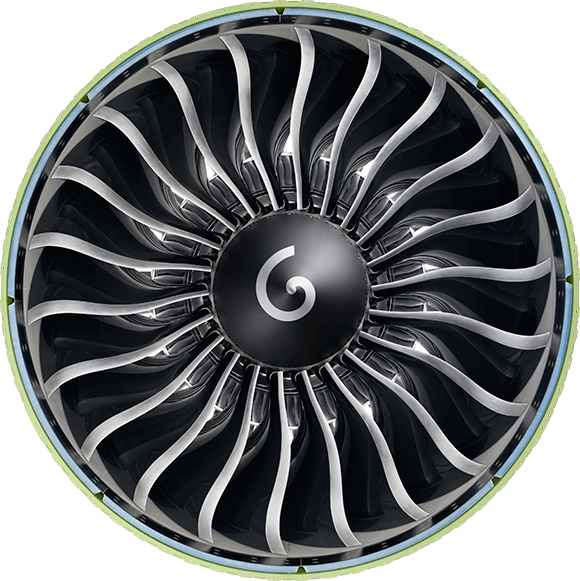 Once GS capture occures the MCP speed in your 757 will jump up to the current IAS and the A/T will add thrust to keep that speed. In a situation like this where you are high on energy anyway thrust is the last thing you want. Therefore this bug is really nasty here. 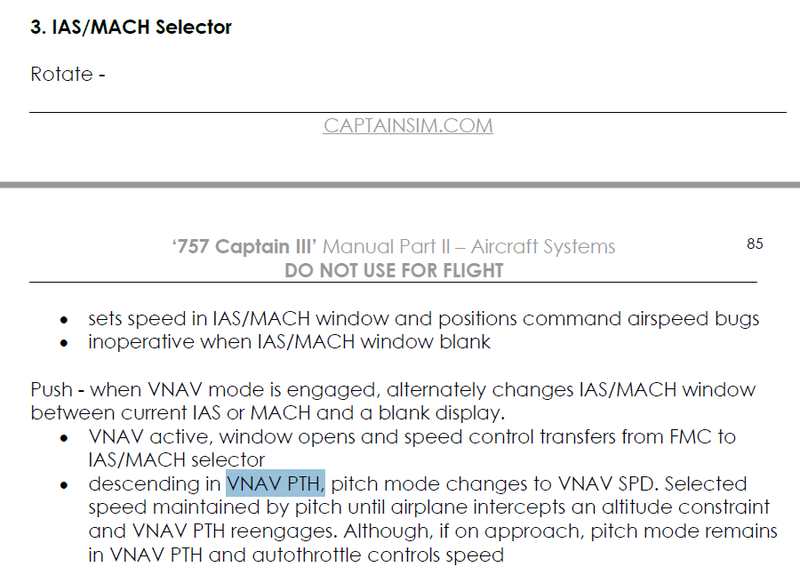 2) You descend in VNAV with the MCP speed window open and set to a lower airspeed than the current IAS. Now you select V/S or LVL CHG to force the airplane to reduce speed to the target speed, for example due to an ATC speed restriction. In your 757 the speed bug would instantly jump to the current speed instead of staying where it was previously selected. This is particularly bad because you would loose the reminder of the assigned airspeed which you have previously set in the MCP. The manual does not mention any changes of the MCP speed when changing the vertical mode. Boeing logic on this one is easy: When the speed window is closed (no indication, such as in VNAV PTH (outside of approach logci)) and you open it up it will show whatever was last commanded by the FMC. Once the speed window is open already (regardless of which mode it was in previously) it will stay at whatever speed is dialed in, regardless of the mode selected. In VNAV PTH mode with the aircraft descending below the profile the AP should aim for 1000fpm until intercepting the profile. Yours will simply try to climb back to the profile. Pressing the MCP speed knob while in VNAV PTH should activate VNAV SPD mode. In your airplane VNAV PTH remains active and the speed window simply opens up which is both incorrect. Details in the manual on page 85. 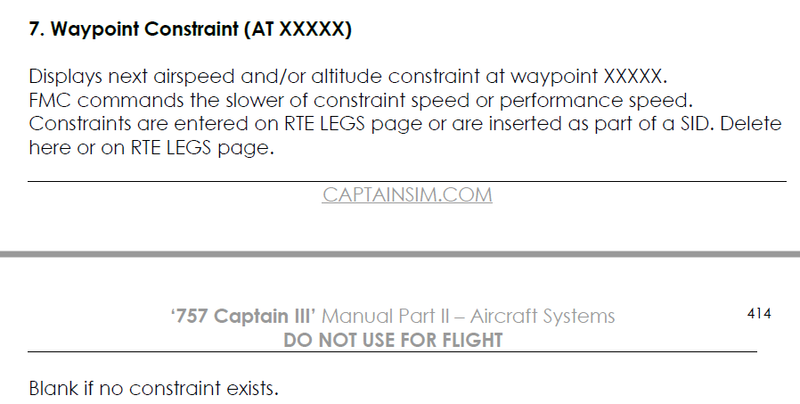 VNAV CLB page only shows altitude constraint of the active waypoint, not of future waypoints if the next waypoint does not have a constraint. 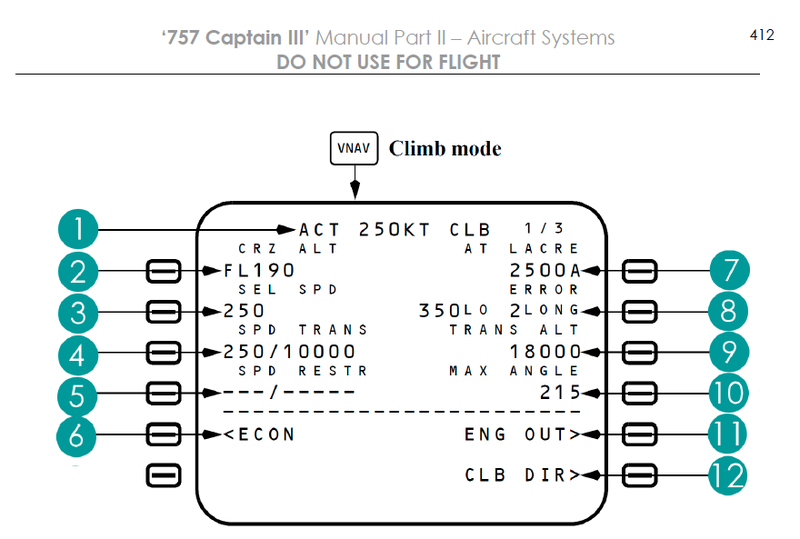 The VNAV CLB page should show the next altitude constraint that is included in the route (until the T/C to avoid descent constraints displayed). In your simulation the constraint is only shows if it belongs to the current active inbound waypoint and only when they are hard altitudes. Above restrictions do not seem to be shown either in yours. 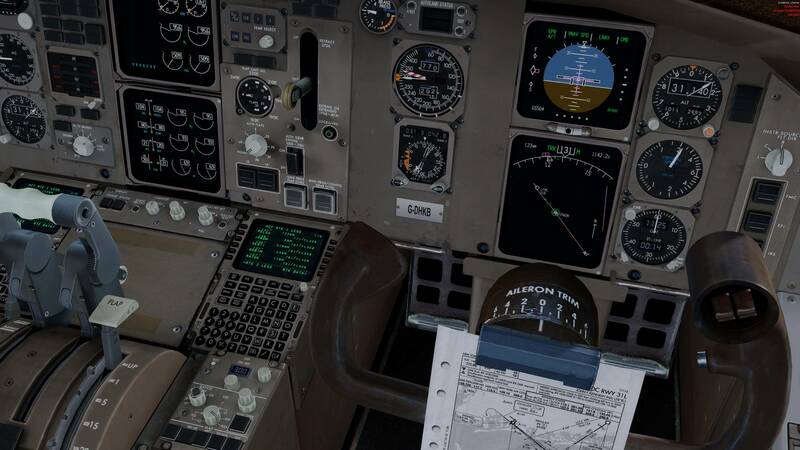 Here you see that there is an altitude restriction at FL70 at DP551. The inbound waypoint DESAN has a 3000A restriction. Neither show in the CLB page. In the first pic 3000A should be shown. Once DESAN is overflown and DP551 becomes active it then shows FL70 which is correct. Please note that the next CLIMB altitude constaint should ALWAYS be shown, even if it belongs to a later waypoint and not the current inbound waypoint! Refer to the manual, page 412 and 413. 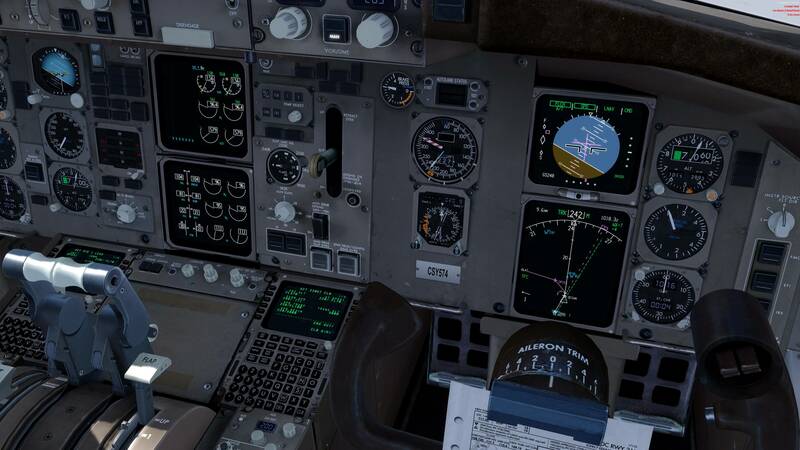 Rb211-535E4 Engine start absolut unrealistic. 1. Initial fuel flow after Fuel Switch ON should be 500-700lbs. Not 1800lbs! That would be a very good hotstart. EGT rises to arround 360° during a normal start. After reaching 360 it stays for arround 35 seconds at 360 then rolls back fast to arround 320-330°. That happens because the HP2 and HP3 valves are closing. 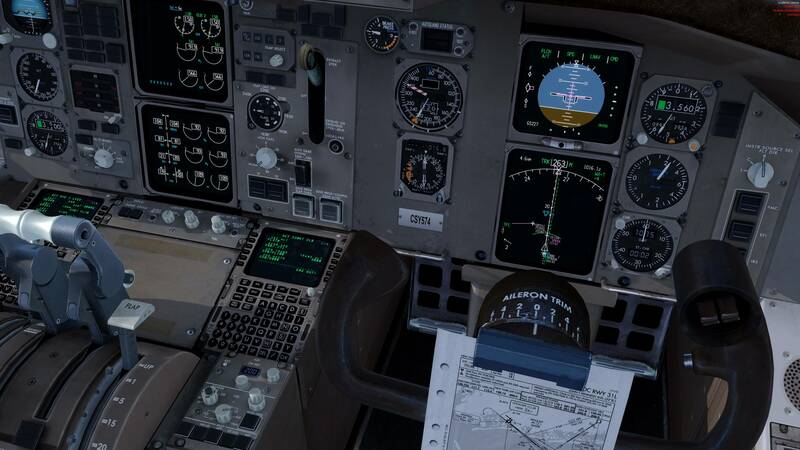 I guess it is kind of hard to programm that into the simulation however I would highly appreciate it since like it is now has nothing to do with the real life indications observed during RB211 starts. If support with more data needed please let me know. Also nice would be a hung start and hot start scenario simulation reachable through the failures menu in prep 3d or through a failures menu in the mcdu.